Luke is the ‘most’ gospel in several ways. It is the longest of the four. It is also the only Gospel which has a ‘sequel’, as Luke also wrote The Acts of the Apostles telling of the early work of the Church. This means that Luke is the author of more than one-fourth of the New Testament. His writing is of the highest literary quality in the New Testament, employing a careful use of the Greek language and adapting it to the various styles that suit each section. (This is hard to pick up in translations so scholar’s notes help.) The dedication at the beginning is in classical Greek style, while some sections are written in the manner of the Greek Old Testament and other parts show a lively use of the speaking style of the time. It seems directed toward Gentiles and leaves out complications of the Jewish religion, which concern Matthew – these modern Christians also are less interested in. This gospel many find the most attractive and congenial. Carroll Stuhlmueller, C.P. writing in the Jerome Biblical Commentary lists some of the characteristics: the gospel of or ‘great pardons, of universal salvation, and of messianic joy’. It is also the ‘gospel of the poor’ and besides concern for them, Luke seems to challenge the wealthy. It has the most women as characters and some of them, like Elizabeth the mother of John the Baptist, play important roles in Luke. He tells us women followed Jesus in his ministry and some provided financially for him in his travels (8:1-3). This gospel has the portrait of Mary the mother of Jesus that underlines Catholic devotion to Our Lady. Luke is full of lively stories that have entered into our culture, often known as wellto non-Christians, especially his parables like that of the Good Samaritan. It is hard to imagine our Christmas without Luke’s account of the angels, shepherds, and the baby in the manger. He is gentle and sensitive; as G. B. Caird says, he ‘had an inexhaustible sympathy for other people’s troubles’. Caird also mentions his artistic ability shown in ‘vivid pen-portraits’ of the people he writes about. He portrays the apostles and original disciples in a reverent light (while Mark can be critical of their lapses and their problems understanding Jesus’ mission). But Luke can also be demanding, challenging his readers with Jesus call to what Stuhlmueller calls ‘absolute renouncement’. It is the gospel that most often tells us about Jesus praying and urges us to follow his example. None of the gospels names its author and the titles we use come from early traditions. 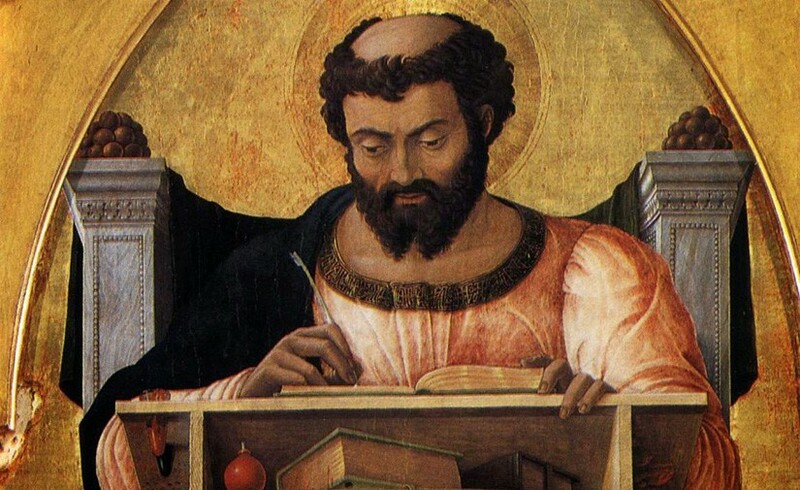 It is likely that the evangelist is the same Luke mentioned in the Letter to the Colossians as ‘the beloved physician’ who was faithful to St Paul in his house arrest. There are some sections in the Acts of the Apostles about Paul’s missionary journeys in which the third person pronoun suddenly switches to ‘we’, implying that the writer was accompanying Paul at those points. In his prologue, Luke makes no claim to knowing Jesus in his lifetime, and he is likely to be a later convert who came to take an active part in the missionary work. In his prologue, he tells us he made an effort to collect information from those who were ‘eyewitnesses and ministers of the word’ and set out to write an ‘orderly’ and reliable account of Jesus’ life and ministry, and his passion, death and resurrection. Luke hints that he also had written sources, and many scholars think he had a copy of Mark that he follows rather closely. If so, he obviously saw shortcomings in Mark and made many changes, improving the rough Greek Mark wrote in and adapting the text as he saw the need. He and Matthew share much that is not in Mark, in some of these sections, the words are close to identical. They probably had some common source, but there are no surviving written texts to tell us what it might have been. (Biblical scholars often call these sections ‘Q’ from a German word for ‘source’.) Luke also has much material that is only in his gospel. Luke uses the idea of ‘journeying’ as his underlying organizing scheme. There are many short journeys, but the over-arching one is Jesus moving from his first preaching in Galilee to Jerusalem for the final days of his life. He also uses ‘journey’ in Acts, there showing the Church moving from Jerusalem to Rome, the centre of the political world of that time, and a symbol for the universal spread of the Gospel ‘to the ends of the earth’. Luke shows a deep knowledge of the Hebrew Bible, mostly in its Greek translation. He sometimes quotes from it, as in 4:16-21 when Jesus applies the prophecy of Isaiah to himself. But more often, they are subtle reflections not cited, which a casual reader without the same background will miss. A Bible with cross-references, such as the Jerusalem Bible or the New Revised Standard Version will point some of these out. I recommend sometime during Year C taking a look at Luke as a whole, to get a sense of his particular way of looking at Jesus, his life, and his teaching. But also Luke merits a slow and ‘close’ reading of each section, noticing the words used and the details. If you want to study the Gospel in a serious way, there are a number of commentaries and reading guides, from the popular to scholarly level. It is hard to recommend one to suit everybody, as individual needs and preferences vary. There is some information online that may help in making a choice. I work with the Greek text, which most will not want to try. Basic for this is the two volume set by Joseph A. Fitzmyer, which runs to nearly 2000 pages and is obviously not a starting place for a beginner. At the opposite end, the short Luke-Acts by Nicholas King, S.J. He has made his own translation of the whole New Testament with short notes and that would be good not only for Luke but the other books from which mass selections are taken. In each section, King includes questions to the reader in the hope of getting us to apply the gospel to our own lives. I also check Saint Luke by G. B. Caird, the Commentary on the Greek text by Howard Marshall, Andrew Gregory in The Fourfold Gospel and both the Jerome Biblical Commentary and the later revision of this, The New Jerome Biblical Commentary. This year I was given two more, Pablo T. Gadenz in the American series ‘Catholic Commentary on Sacred Scripture.’ It is not short, but useful for beginners in that it has notes on the biblical background, history and customs. Illustrations show such things as what a millstone looked like. It has suggestions for ‘reflection and application’ which can sound ‘preachy’ but indicate ways the text is meant to be lived and prayed with. Another from the US is George Martin, Bringing the Gospel of Luke to Life, 600 pages in a more personal and chatty style. References to these authors may appear in the Year C notes from time to time when I think they help in understanding the short mass selections. Luke, however, is easy to read on its own; much will be familiar, but it is good each time to look for something unnoticed before. I pray in this Year C, reflection on the Gospel will enrich the lives of us all.